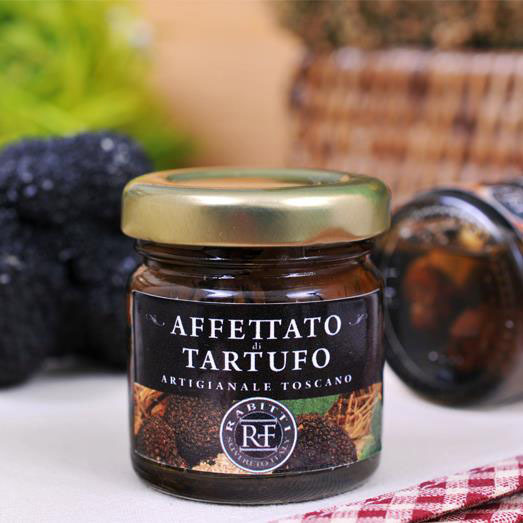 Taking a cue from the ancient recipes of grandparents and wisely combining raw materials produced by farm, arise the Tuscan truffle Rabitti products. 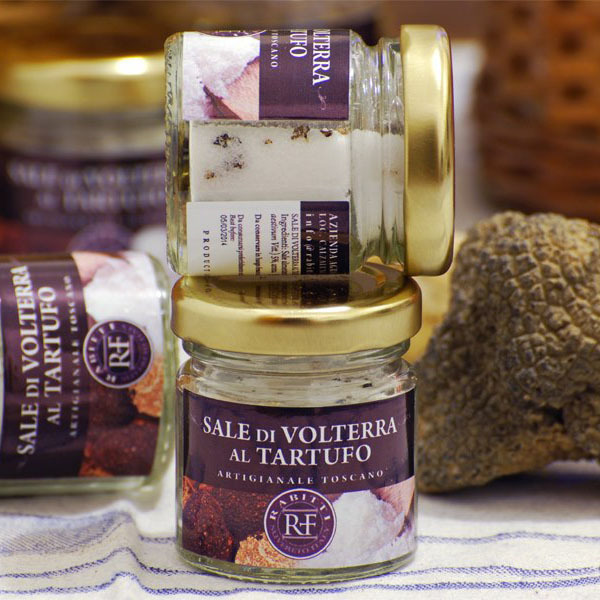 The only ones in which you can find the harvesting area of valuable Tuber among the ingredients (only our Tuscany italian natural truffle-beds); authentic and fine craft specialties made without the use of any type of food preservative. 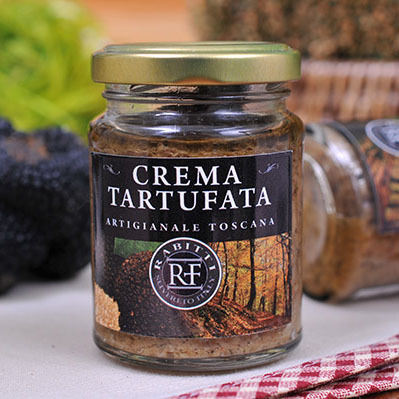 TARTUFATA SAUCE - Ready to use. 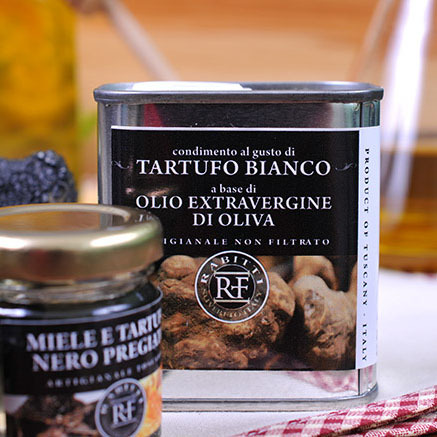 Ideal for seasoning first courses, main courses, croutons and ready cooked dishes in general. It does not contain preservatives or colorant. 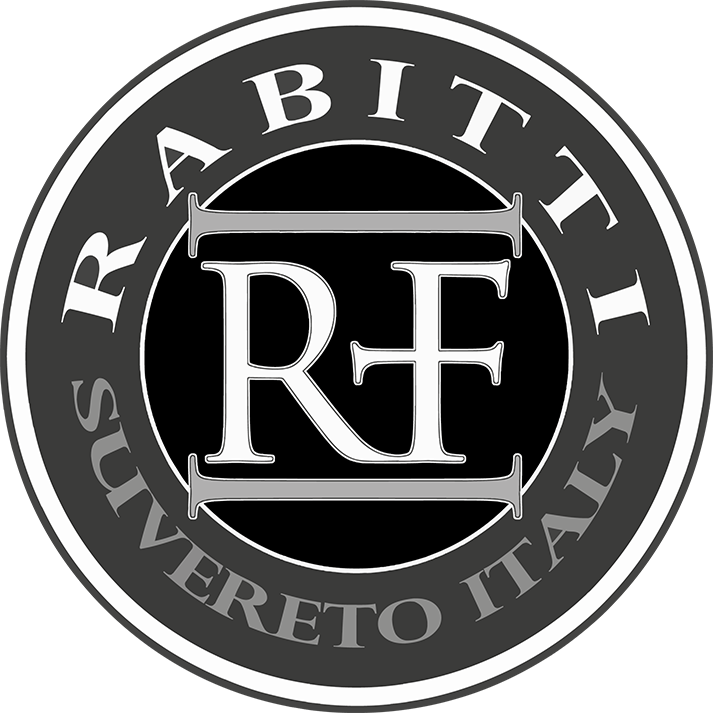 85 gr. - 500 gr. 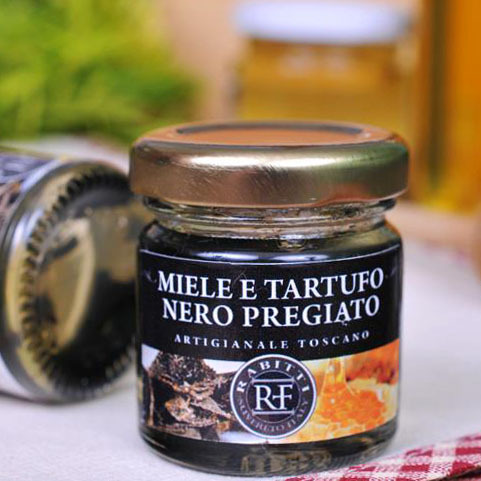 The truffle products were prepared by our grandparents as an alternative method of preservation, in times of abundance or in case you want to preserve the organoleptic characteristics of a particular species of truffle throughout the year (disconnecting from the obligation to be able to delight your palate only during a certain period). 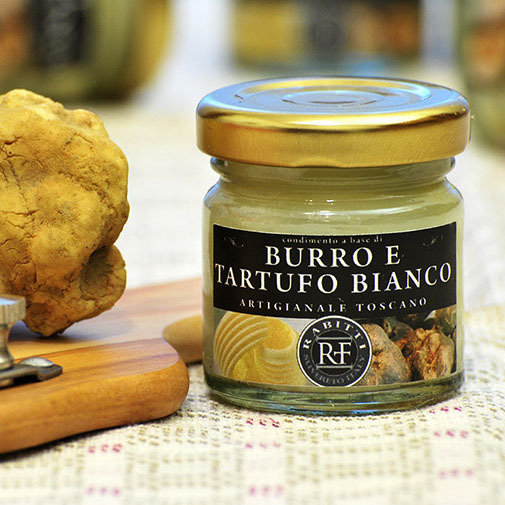 The fine art to experiment in the kitchen has also given rise to combinations and preparations which have laid the foundations of traditional Tuscan culinary culture; infact prepared as honey truffle or truffle carpaccio in extra virgin olive oil have position in our region for several century in this part.